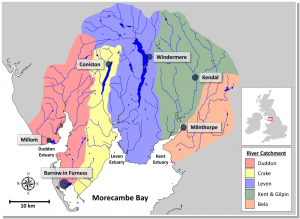 Becks to Bay covers five main catchments in South Cumbria. However, within these 5 main catchments there are also 12 minor catchments which enter the sea separately. Many people flock to our area to enjoy the natural beauty and all it has to offer. 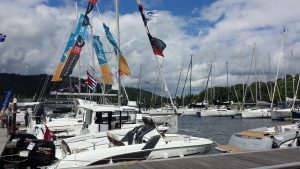 South Cumbria is host to several iconic lakes including England’s longest lake, the picturesque Coniston Water and other culturally significant waters such as Grasmere and Rydal Water. Many people visit the Lake District every year. The outstanding beauty and recreational opportunities draw people from across the world. Therefore, tourism centred around the natural beauty of the area, including its network of rivers and lakes, is a vital part of the economy. Additionally, this also provides great value in terms of our health and wellbeing: a fact we all need to recognise more. Therefore, we need to preserve the health and accessibility of the area for future generations. However, rising tourist numbers increases the pressure on the infrastructure of our area, threatening the quality of our lakes and rivers.